Sam S. Manoukian, CCIM specializes in providing the conscientious commercial investor a full range of commercial and investment properties--office, retail, industrial and multi-family. He is a purveyor of high-level commercial development services and incisive market intelligence, as well as court approved expert witness and consulting services. 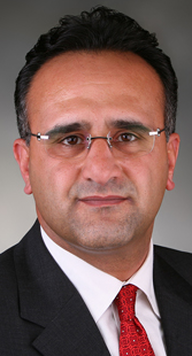 Mr. Manoukian also heads the Commercial Division for RE/MAX OPTIMA, and has been in the real estate arena since 1986, joining RE/MAX OPTIMA in 1989. His proven track record of success in commercial and investment properties spans close to three decades and a great many geographic regions, including California and Nevada, as well as other select national and international locales. A Certified Commercial Investment Member, he holds the coveted CCIM designation and has buttressed it with constant continuing education in this ever-changing field to the benefit of his growing clientele. Mr. Manoukian's impressive list of clients speaks for itself--Shell Oil Products US, National Bank of California, Equilon Enterprises, LLC, and ZHS Investments, LLC, just to name a few. He is well recognized in the real estate industry and is the recipient of countless awards and accolades. He is a member of a slew of national and local realtors associations and was appointed by the Glendale City Council as a Board of Zoning Appeals Commissioner (please see Resume for awards, memberships and other information). As a Court Approved Expert Witness in the Field of Real Estate, Mr. Manoukian has delivered expert testimony and research briefs via depositions, in court and as part of discoveries. His unique blend of experience and expertise has produced an incredible record of successful transactions, and, moreover, he has brought honesty, acumen, and an unparalleled understanding of the real estate market to both his clients and colleagues. Serious investors concerned about their returns, as well as commercial developers and market strategists continue to turn to Sam S. Manoukian, CCIM and Glendale Investments for the optimum in service and results. When it comes to commercial real estate investment, in an ever-changing property market, more people come to Sam S. Manoukian, CCIM.